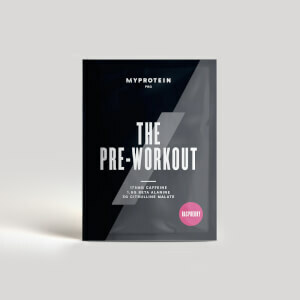 It also includes the essential amino acids, including 4.5g of BCAAs — these naturally occur in protein which helps to build and repair new muscle1 — so you’re always ready for the next session. And, it comes in over 40 delicious flavours, including Chocolate Brownie and Strawberry Cream. It’s fast absorbing, so we recommend adding 1 sachet (25g) to water or milk 30-60 minutes post-workout — but it’s ideal any time for a convenient way to get the protein you need. Banana Stevia Flavour:Whey Protein Concentrate (Milk) (96%), Emulsifier (Soy Lecithin), Natural Flavouring, Colour (Curcumin), Sweetener (Steviol Glycosides). Banana Flavour:Whey Protein Concentrate (Milk) (96%), Emulsifier (Soy Lecithin), Flavouring, Colour (Curcumin), Sweetener (Sucralose). Banoffee Flavour:- Whey Protein Concentrate (Milk) (96%), Emulsifier (Soy Lecithin), Flavouring (Malt Extract (Barley), Sweetener (Sucralose)). 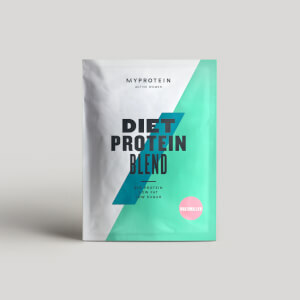 Blueberry and Raspberry Stevia Flavour:Whey Protein Concentrate (Milk) (96%), Emulsifier (Soy Lecithin), Natural Flavouring (Sulphites), Colour (Beetroot Red, Anthocyanin), Sweetener (Steviol Glycosides). Chocolate Caramel Flavour: Whey Protein Concentrate (Milk) (91%), Emulsifier (Soy Lecithin),Flavouring (Cocoa Powder, Flavouring, Malt Powder (Barley), Sweetener (Sucralose)). The nutritional information is based on the Vanilla Flavour, when choosing an alternative flavour the nutritional values may vary.